It was reported that Apple would allow third-party manufacturers to start making MFi-certified USB-C to Lightning cables this year, with Anker next in line with its Powerline II USB-C to Lightning offerings. Previously, Apple was selling USB-C to Lightning cables on its website, and they carried a $19 price per cable. Thankfully, with Anker having released its own MFi-certified cable, customers will be able to obtain access to a higher quality accessory and a product that costs less than what Apple is selling. Anker’s Powerline II USB-C to Lightning cable costs $15.99 per unit, making it slightly cheaper. Fortunately, you’ll have ample length, as the cable if three feet long and comes with Anker’s lifetime warranty. 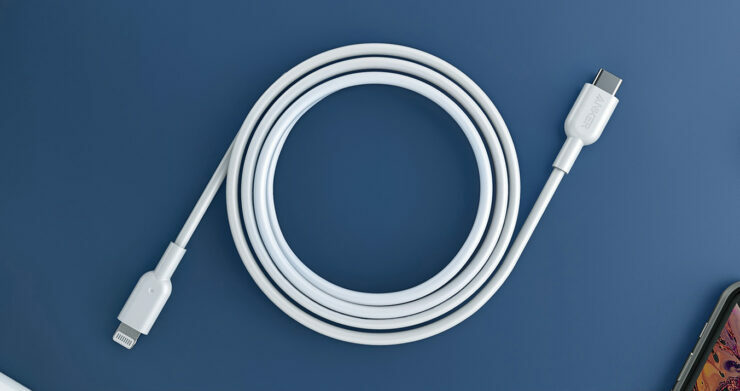 While the arrival of Anker could be seen as a relief for several customers thanks to their reliability, the manufacturer is not the first to release this particular cable. During the CES 2019 trade show, Belkin announced its USB-C to Lightning cables, but they carried a price of $24.99 a pop. Manufacturers like Belkin and Anker focus on cabled accessories that feature a layer of braiding present outside of the insulation covering the copper wiring. This helps to give these cables extra durability and since Anker’s products are cheaper, they will obviously be preferred. Anker is taking orders for the PowerLine II now, and the cable should start shipping at the end of the month. By purchasing a USB-C power brick, you will be able to charge your iPhones. As for any 2018 iPad Pro model, you’ll need to buy a USB-C to USB-C cable instead. If Apple switches to the Type-C USB interface for its 2019 models as previously reported, lots of customers wanting to get their hands on Anker’s latest cables will not find use for them any longer. If you want to place an order for this accessory, all you have to do is click on the link below and it will take you straight to Anker’s website.